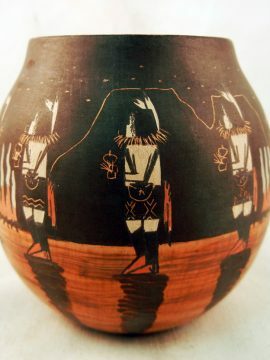 A piece from 1983, this beautiful Hopi jar by Ethel Youvella Polacca features a lovely polish and traditional hand painted designs covering nearly the entire surface. 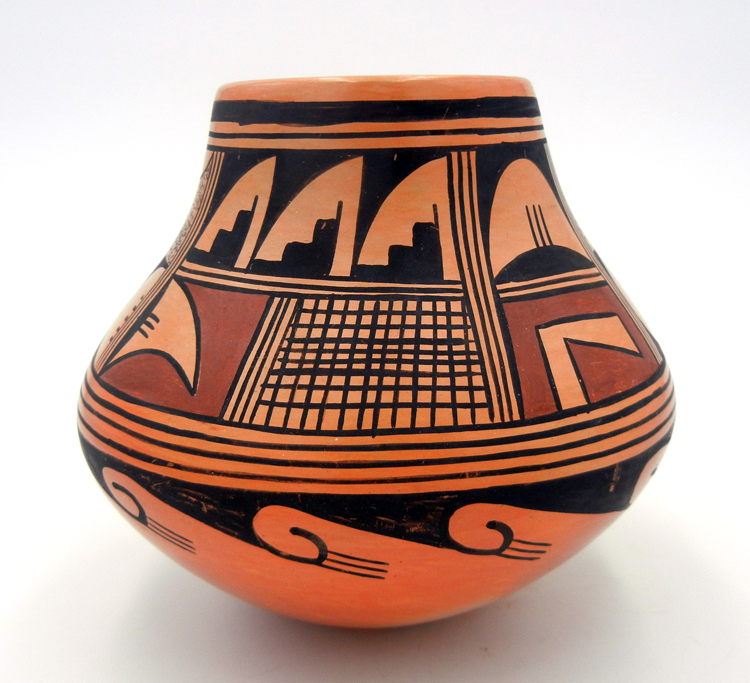 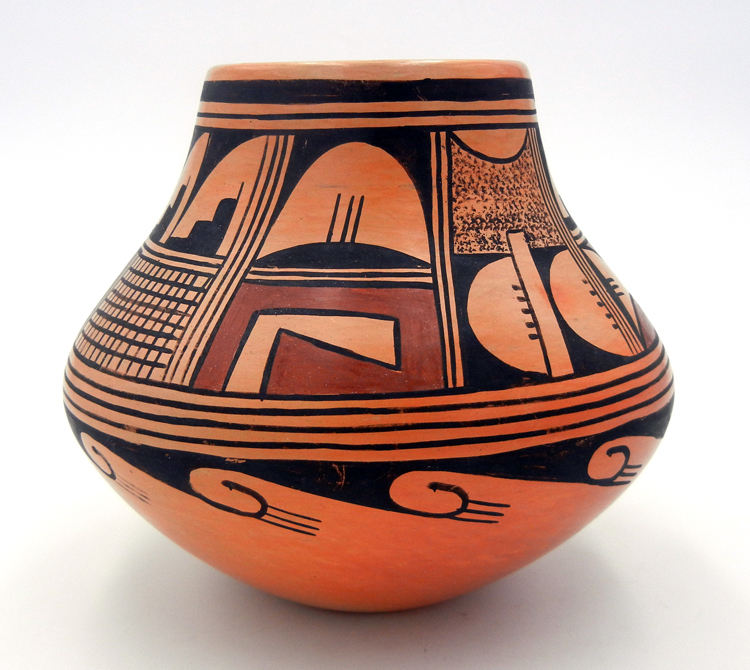 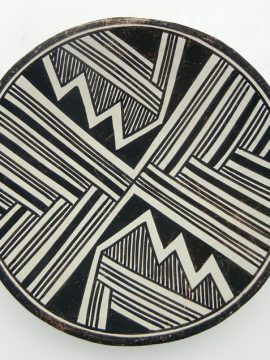 The jar, the color traditional of clay from the Hopi mesas, is painted with step, fine line, and multiple geometric designs, as well as a band of wave patterns painted just below the inflection. 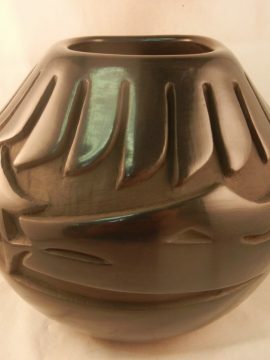 It is stone polished, giving it a nice sheen, and, due to age, does show some wear, including rubbed paint and a few very small pits. 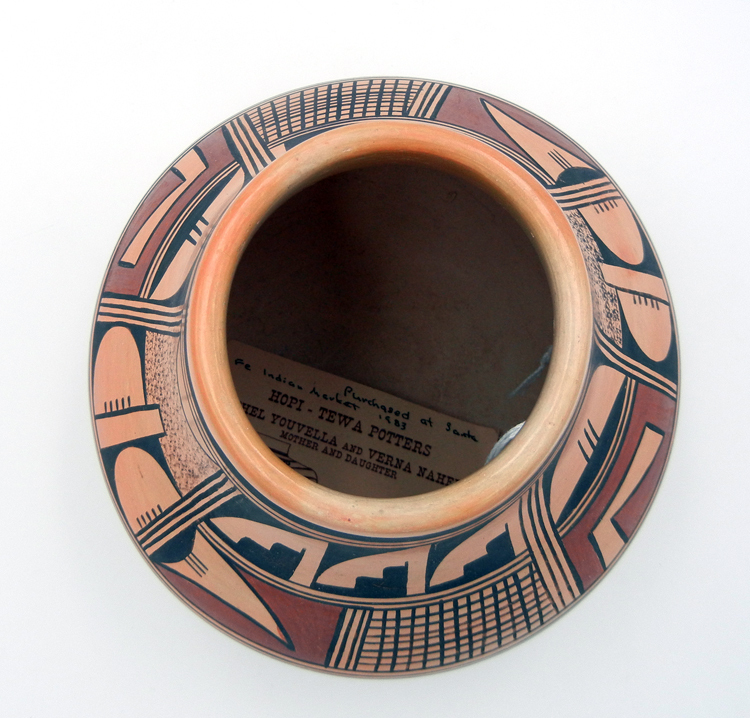 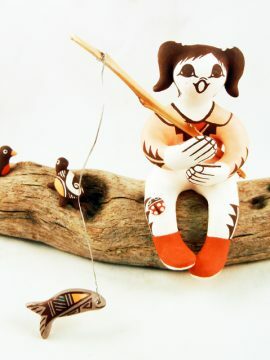 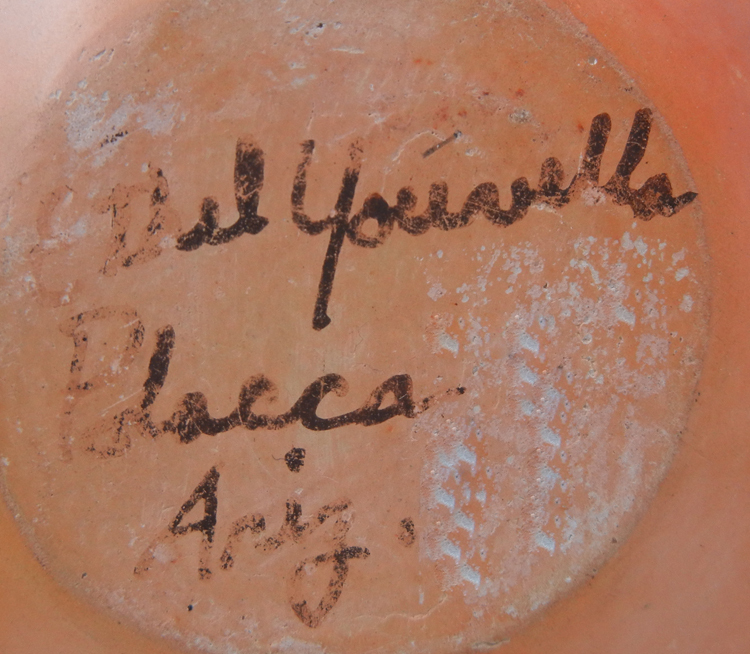 Comes with a business card for “Ethel Yovella and Verna Nahee, Mother and Daughter,” with the previous owner’s handwriting indicating it was purchased at the 1983 Santa Fe Indian Market. 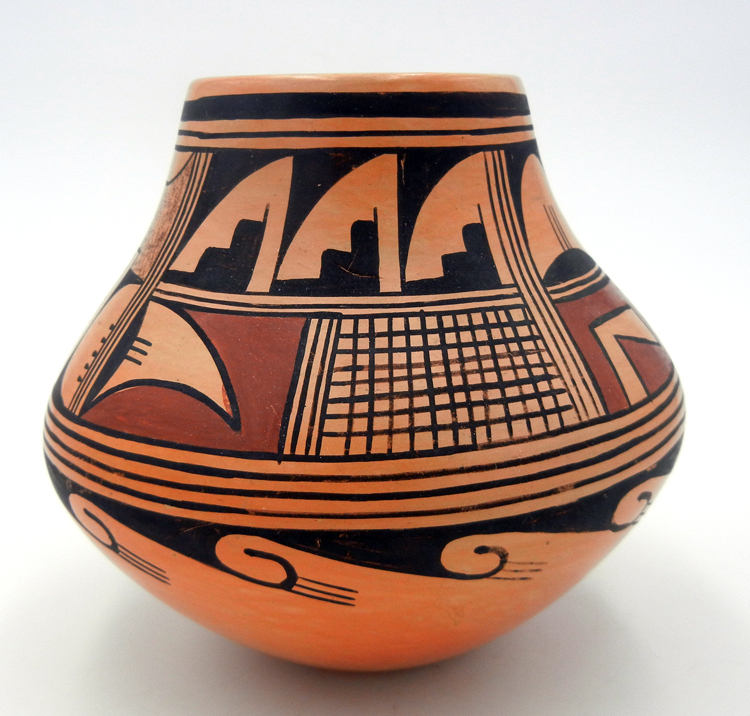 5 3/4″ tall x 6 1/2″ wide.